Not many of the Fouquieria were in flower, but I managed to find this one. 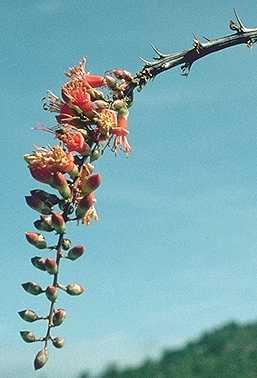 Growers often call this plant by the common name "Ocotillo", but the name is apparently never applied to this widespread plant in this area. Astrophytum myriostigma, Ferocactus pilosus, Leuchtenbergia principis, and Turbinicarpus jauernigii also grow here. 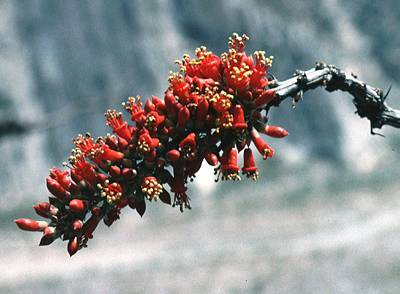 Another plant in flower, this time in the Huasteca Canyon, Santa Catarina, near Monterrey.